Bhakti is a thin thread of love between a devotee and the Lord. 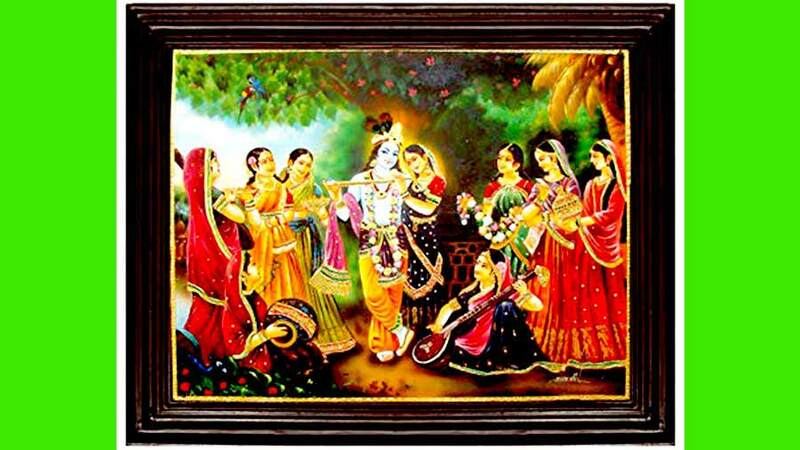 Bhakti is supreme love for the Lord. It is the spontaneous outpouring of Love towards the Beloved one, the Lord. This divine love cannot be described in words. All attractions and desires that one has for the materialistic world, are transmuted to Love for one object viz., God. This leads the devotee to an eternal union with his Beloved God. The term Bhakti has its roots in the word ‘Bhaj’, which means ‘to be attached to God’. Bhakti means devotion. It is pure, selfless, divine love with no scope for bargaining or expectations. 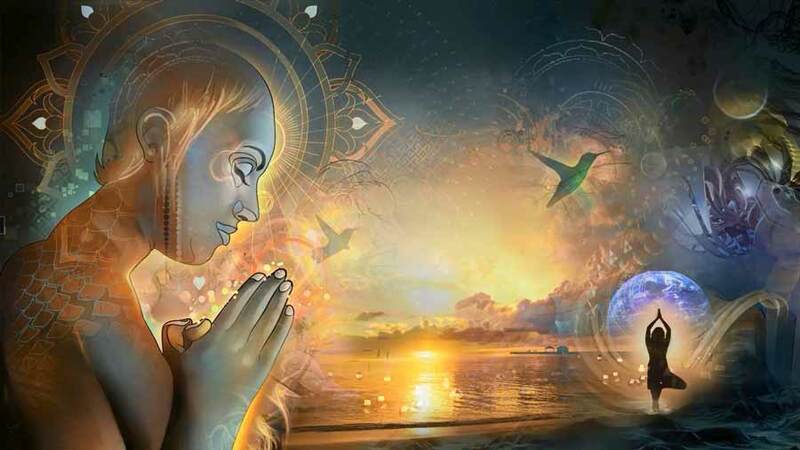 Bhakti Yoga is one of the four main yogic paths to enlightenment and is considered the easiest of the path to experience the oneness with the Almighty. Apara-Bhakti is for beginners. The beginner decorates an image or statue of the Lord with flowers and garlands. He rings the bell, offers sweets and food to Him and observes rituals and ceremonies to please Him. The devotee or the Bhakta regard Him as a Supreme Person. He cannot think with a broad mind. He is a sectarian and don’t believe in worshipping other deities. Para-Bhakti is the highest form of Bhakti. A devotee sees the Lord everywhere, in everything and feels that it is His Power which manifests as the entire universe. He recognizes the transcendental nature of God. Para-Bhakti and absolute knowledge are one. But every devotee will have to start from Apara Bhakti. Bhakti is also classified into Gauna-Bhakti and Mukhya-Bhakti. Sakama Bhakti and Nishkama Bhakti are also the classifications of Bhakti. Live in the company of saints. Hear the Acts of God. Study the sacred scriptures describing various Acts (called Lilas) of God. Worship any picture of Him. Recite His Name all the times. Sing His glories all the times. The practice of right conduct, prayer, worship, service of saints, living at the places of pilgrimage, service of the poor and the sick, feeling the presence of the Lord in every single part of Universe, prostrations before Saints and images of Lord etc. will help you develop Bhakti. There are nine main practices of Bhakti Yoga (devotion to God) named Nav Vidha Bhakti. Intense love is the common factor in all the nine practices. Exclusive love for God is expressed through various methods. Listening to God’s Lilas (virtues, glories, acts) or stories and ancient scriptures is Shranava. King Parikshit attained Liberation through Sravana. He heard the glories of God from Suka Maharishi. His heart was purified. He attained the Abode of Lord Vishnu in Vaikuntha. 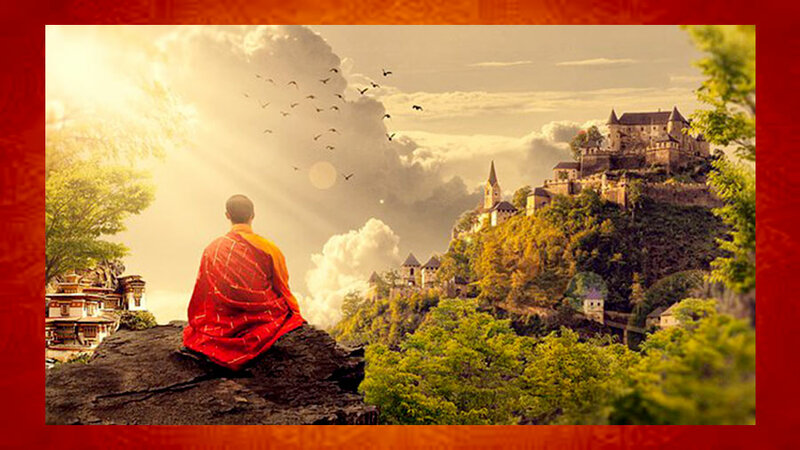 He became liberated and enjoyed the Supreme Bliss. Singing devotional songs of His glories is Kirtana. 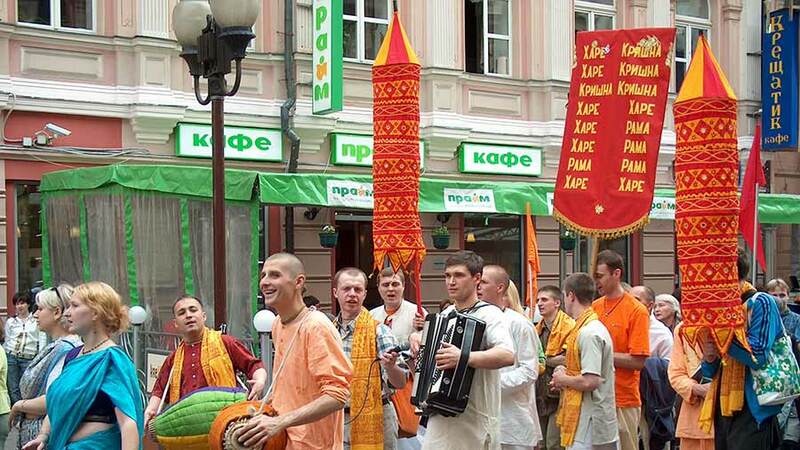 It can easily be regarded as the most popular of practices of Bhakti Yoga among the Bhaktas. Remembrance of His name and presence by constantly meditating upon HIs name and form. Remembrance has no particular time. God is to be remembered at all times without break. It is service of His feet. It is possible by serving the image of God in idols. The other way or better way is taking the whole humanity as God. Serve the sick. Padasevana is service of the whole humanity at large. Service of the world is the service of the Lord’s feet. 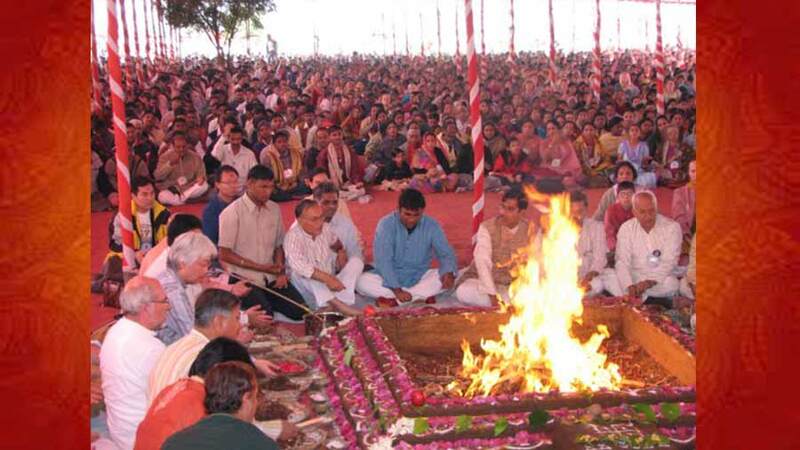 The worship of God through practices such as deity worship (Pooja) and fire offerings (Hawan). Worship can also be done either through an image or a picture or even a mental form. The purpose of worship is to please the Lord, to purify the heart through the surrender of the ego and love of God. The prostration before the image of Lord. Humble prostration touching the earth with the eight limbs of the body ( called Sashtanga-Namaskara), with faith and reverence, before God, and getting absorbed in the Divine Love of the Lord is termed prostration to God or Vandana. It is cultivating the Bhava of a servant with God. Serving and worshipping the statues in temples, cleaning and sweeping the temple premises, meditating and mentally serving the God as a slave, serving the saints and devotees of God, serving poor and sick people, is a part of Dasya-Bhakti. The complete surrender of the self to the Divine is Atmanivedana. The devotee offers everything to God, including his body, mind, and soul. He has no personal and independent existence. All grief and sorrow, pleasure and pain are taken by the devotee as gifts sent by God and does not attach himself to them. The ultimate goal in the practice of Bhakti yoga is to reach the state of pure bliss achieved in the devotional surrender to the Divine. As per Swami Sivananda – “Knowledge or wisdom will dawn by itself when you practice Bhakti Yoga. Bhakti is the pleasant, smooth, direct road to God. Bhakti is sweet in the beginning, sweet in the middle and sweet in the end. It gives the highest, undecaying bliss”.